There’s no doubt leading organisations have recognised customer experience is vital to future-proofing a business. But CX doesn’t all happen at the customer service end of the buying cycle. Increasingly, organisations are realising to offer great CX, a customer-driven culture must be behind every aspect of interaction. With this push has come the buzzword of around having a customer-driven culture. But what does that actually mean and why is it important? Chief customer officer at Mercer, Cambell Holt, divvies organisations into two types: Those who have understood for a long time the primacy of the customer in terms of their own survival; and those that have been focused on the transaction, with customer value being a secondary output. For businesses to perform at their best, there is a need to retain the customers you’ve got, not just acquire new ones, KPMG Customer, Brand and Marketing Advisory partner, Mark Hassell, says. “We are in a fiercely competitive world, and we must recognise this and develop an overarching business strategy and put the customer at the heart of it. If you develop a business strategy and culture outside of the customer, you’ve got a problem,” he says. As CX transformist, managing partner of Temkin Group, and co-founder and Emeritus Chair of the Customer Experience Professionals Association, Bruce Temkin, puts out, customers are becoming acutely more aware of the experiences they have, and are therefore becoming more demanding. Businesses who can’t keep up are going to lose customers. Full stop. According to Forrester’s Customer Experience quality (CX Index), brands are struggling to keep up with customer expectations. Put simply, the whole reason a business is operating is to support their customers in some way. And according to founder and president of CustomerBliss and co-founder of the Customer Experience Professional Association, Jeanne Bliss, if you’re only just now realising this, and offering an already frustrated customer belated service, you’re too late. “We’re using the words ‘customer experience’ in the discipline of experience, versus the expense of service. It’s almost too late if you’re only offering customer service, because you’ve already done something to cost the company money by not having a process or people who support the customer,” she claims. Holt says CX is marketing, and marketing is CX, and there is no longer any distinction between the two. All of the value an organisation can create needs to be focused on the delivery of great value to a customer. CEO of syfte, Katja Forbes, adds to this, saying every single facet of a business, whether it is sales, marketing, or the executive level, must be oriented towards customer ‘need’, not customer ‘want’. “The word ‘need’ is deliberate. We don’t deliver what they want, and if you wait for them to tell you what they want then you’ll get something inaccurate,” Forbes says. “But if you design your culture around what they need, it will match up to the expectation, stated or unstated. Frankly, organisations that don’t do this will have a slow slide into mediocrity. It’s a given now that people can interact with your product and service in whatever way they want at whatever time that suits them to achieve whatever they want to. 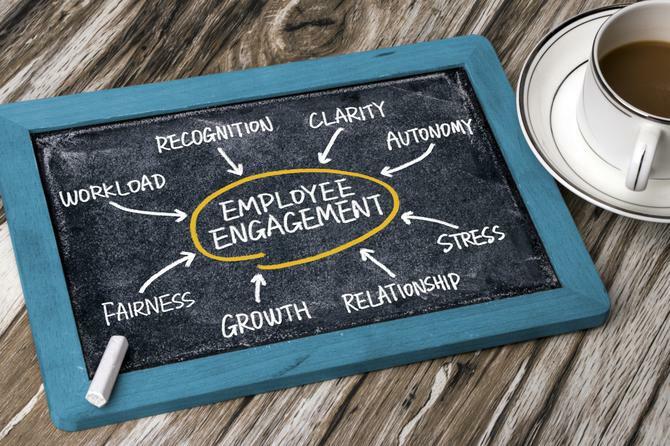 One thing is increasingly clear: You cannot design a customer-driven culture without employee buy-in and empowerment, and this means getting support from the top down and reorganising organisational priorities. Much like the customer journey is now driven by marketing, the experience an organisation delivers to its customers will always be a reflection of its culture. As Temkin points out, you can make improvements in how to interact with customers, but those changes will always devolve over time to reflect the beliefs within the business. When it comes to customer centricity, Champion believes organisations today are great at doing pilots and setting up things well in pockets. But only real leaders scale that mindset across the whole organisation. When that happens, the organisation is more effective at bringing together diverse expertise for the biggest customer impact, setting up the right mechanics so that the entire organisation can pivot with ever-shifting customer needs. “Unfortunately, many organisations struggle to give dedicated attention to culture initiatives. They'll either hope that culture change is a lucky by-product of other initiatives, or they don't have clear understanding of the timelines required for a serious culture change. That's why we also see many organisations hitting a wall with their customer experience programs,” he says. Hiring is the most important decision a company can make, according to Bliss, alongside getting rid of practices that create an imbalance between customers, employees, and a company. For Hassell, driving a customer service culture begins and ends with the front-line. Those who do not engage the rest of the organisation behind the front-line with a customer-first mentality, will impair the front-line’s ability to deliver. “The winners of this game are the ones who fundamentally understand what a compelling customer vision is, ones that can inspire everyone in the organisation to get behind it, ones that empower everyone involved to think customer and to develop processes that collectively deliver the promise, and your people are engaged as a result. It is a team sport,” he says. Accenture Interactive managing director, Michael Buckley, says organisations fix CX through employees. “Create an environment where attrition is low. If you create the right environment, it gives you an amazing ability to service the client,” Buckley says. “Integrity and honesty must underpin everything. You live and die by the environment you have, so do you have empathy to understand what your employees want? It might not be something very big at all, it might be something simple. Fix this and you will fix your CX at the same time.